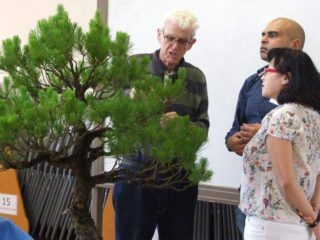 The meeting started with the second part about Pines, Les sent some time discussing various pruning techniques, and when to prune the different species of Pine. 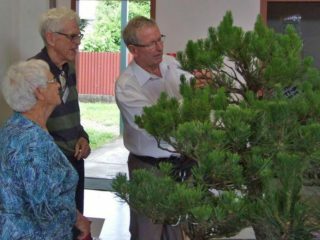 Les then asked people to come up and help prune his huge Radiata for him! 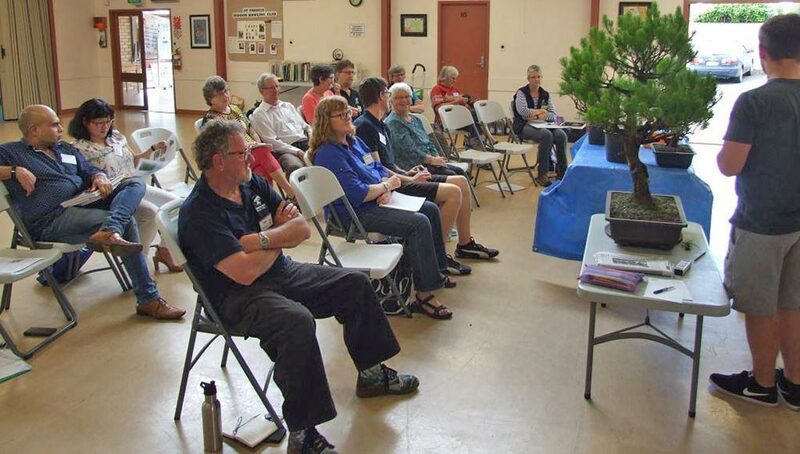 Aaron gave a brief follow up from the Pines Part 1 meeting in August to those who planted Pine seeds. 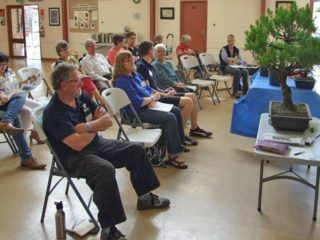 Aaron discussed the seedling cutting technique, and explained his own results and his new version. 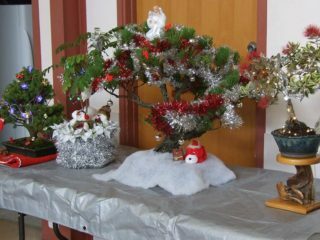 After the break we all enjoyed some Christmas themed fun and games. 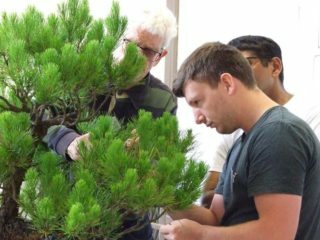 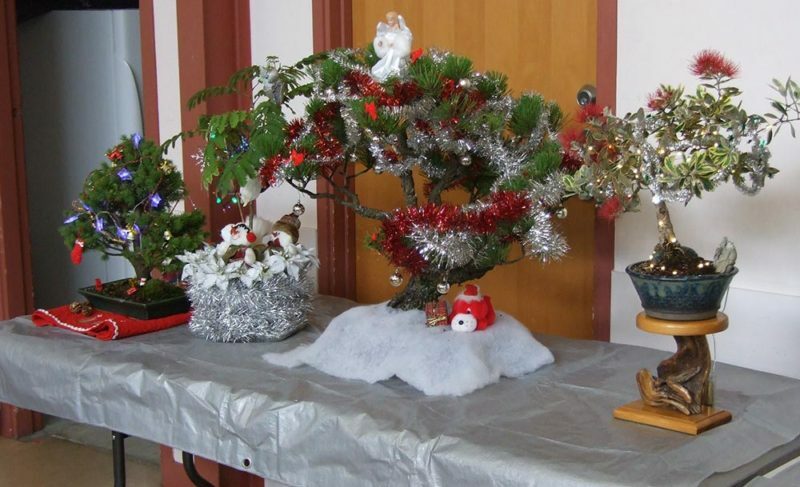 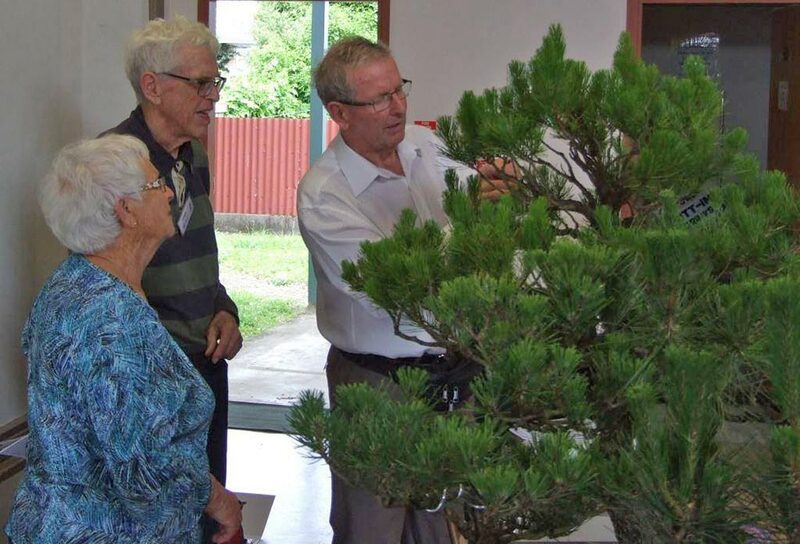 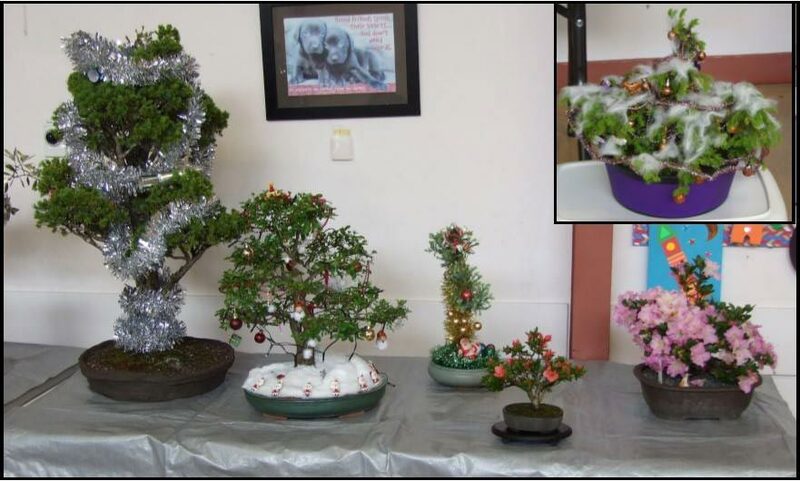 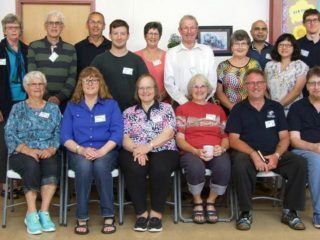 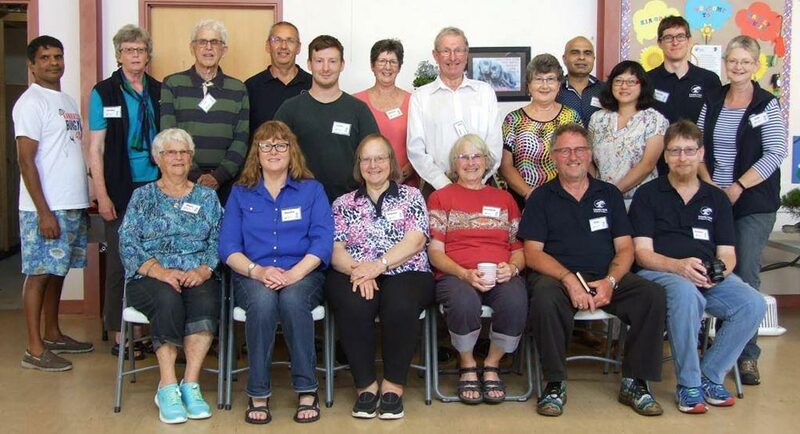 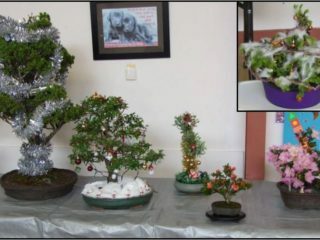 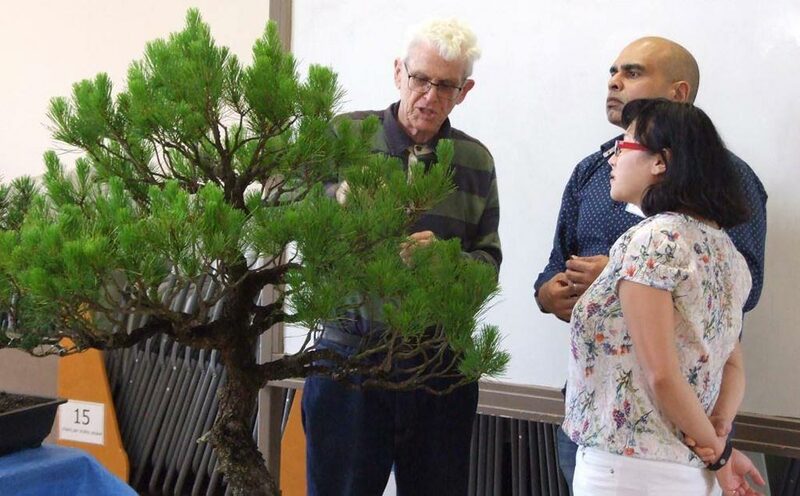 Merry Xmas and a Happy New Year for the Hamilton Bonsai Club!